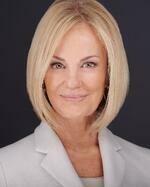 Suzanne Bates is the CEO of Bates, a firm founded in 2000 with a mission today to help leaders influence the world. The firm is distinguished in the field of leadership development for its ground breaking research and practical approach to helping leaders make an impact. The firm’s roster of senior executive clients is a who’s who of top global companies that turn to Bates for advice, consulting, executive coaching and expertise in the field of executive presence and communicative leadership. In 2013, the firm researched, piloted and launched the first-ever research-based model of executive presence, and operationalized it in the scientifically validated assessment tool, the Bates ExPI™. The Bates Model of Executive Presence provides organizations with a rich, multi-dimensional framework for measuring the way individual leaders influence and make an impact to drive business results. Suzanne launched the firm in 2000 after a successful career as a television journalist in major markets including Boston, Philadelphia and Tampa-St. Petersburg. In 2005 she published her first book, Speak Like a CEO: Secrets for Commanding Attention and Getting Results (McGraw Hill), which went to #6 on the bestseller charts on amazon.com, and is now published in 7 languages including Chinese, Russian and Indonesian. 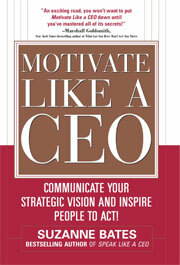 Suzanne has since published three other books, including Motivate Like a CEO: Communicate Your Strategic Vision and Inspire People to Act!, Discover Your CEO Brand: Secrets for Embracing and Maximizing Your Unique Value as a Leader, and her latest book All the Leader You Can Be: The Science of Achieving Extraordinary Executive Presence (McGraw Hill 2016). All the Leader You Can Be acknowledges the deeper-level facets that enable leaders to align, inspire, and move people to act. Suzanne has also written Thoughts for Tuesday, a compilation of personal leadership lessons from her popular blog with the same name. Suzanne’s years as an on-air personality with major market television stations WBZ-TV Boston, WCAU-TV Philadelphia and WFLA-TV Tampa-St. Petersburg put her at the center of major news stories with the opportunity to interview thousands of political leaders, CEOs, business people, authors and celebrities. She won an AP News Award and was part of a team that won the Columbia DuPont, the highest award in journalism. Today as a nationally recognized expert in business communications and leadership, Suzanne has appeared in hundreds of publications including the New York Times, Forbes Magazine, Business Week, Investors' Business Daily, the New York Post,Wall St. Journal, and CNNMoney.com, and on countless television programs including the Today Show, Fox Business Morning, New England Cable News, CBS Radio, and more. Suzanne pioneered a unique executive coaching program model focused on leadership and communication. 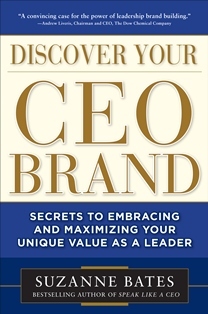 Her book launched the popular leadership development program, Speak Like a CEO Boot Camp, and her firm’s new research on executive presence is the basis of a new leadership offering, the Executive Presence Mastery Program. Suzanne has been an active member of many organizations. She is past President of the New England Chapter of the National Speakers Association, a past member of the Women's Presidents Organization, past member of the board of the Girl Scouts of Eastern Mass, and past president of the Massachusetts Women's Political Caucus. She has earned the Pinnacle Award from the Boston Chamber of Commerce, The Exceptional Women Entrepreneurial Award, and the Alan Weiss Award for Excellence, among others. Suzanne earned her B.S. in Journalism from the University of Illinois. She lives in Wellesley, Mass. with her husband and daughter. Pick up your copy today at amazon.com!